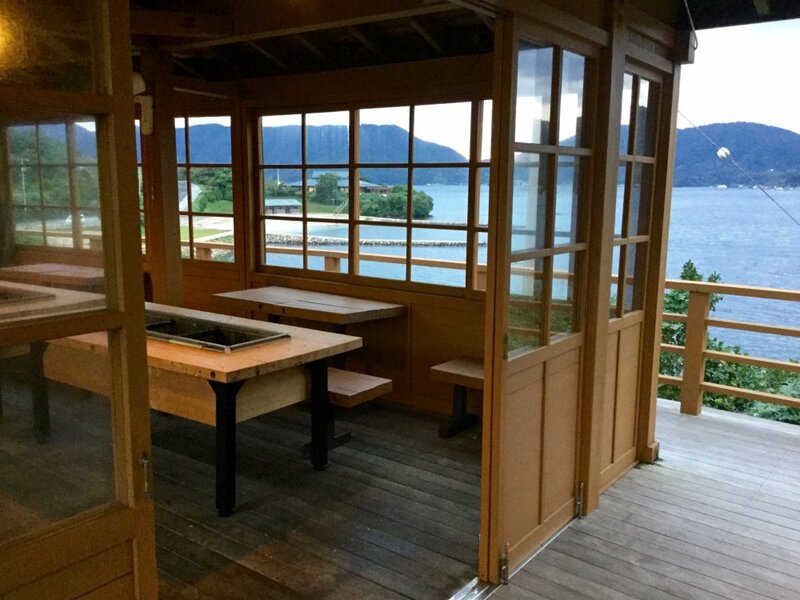 My favorite part of the hotel: The Scandinavian style BBQ house. Sunset from the barbecue house. 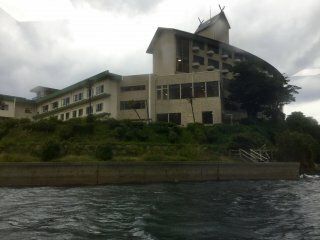 View of the Oki Marine Port Hotel Ama from the water as we pulled into port. 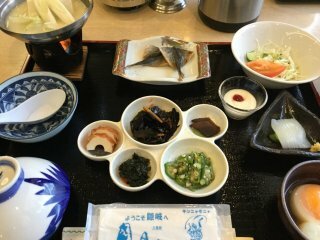 Light, healthy Japanese style breakfast. Generous viewing windows in the lobby. 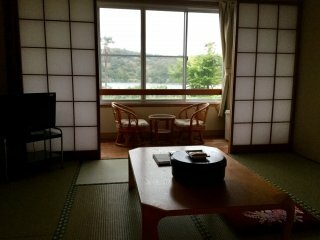 Ideally located near Hishiura port, Marine Port Hotel Ama is a great starting point to explore Ama Town. From April to October, you can take the Amanbow underwater viewing boat to see the variety of marine life around the island without getting wet. A special night cruise allows you to see the mysterious luminous plankton. 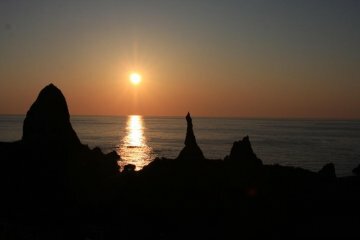 The picturesque Akiya Coast is a taxi ride away. 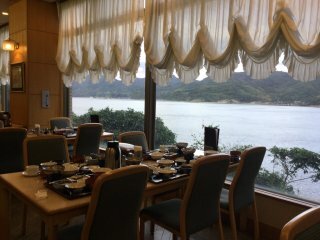 Plan to have lunch at Oki Gyuten, the restaurant a short walk away from the hotel that dishes up Oki beef. 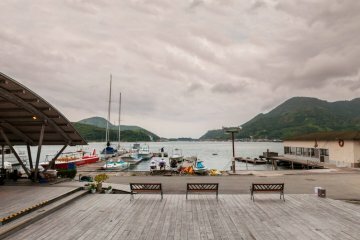 Avail of the BBQ dinner package with your accommodation and grill your dinner as you watch the sunset in a cozy Scandinavian style BBQ house. 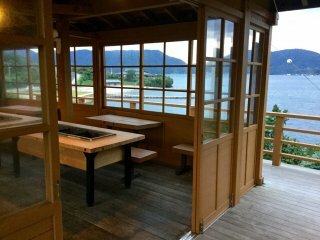 Though rooms have a private shower, the public bath is worth checking out. Watch the ferries go by as you relax in the hotel's natural hot spring. 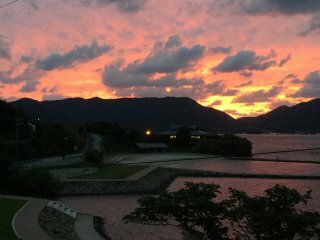 A three-minute walk from Hishiura Port, Ama Town. In case of bad weather, pick-up is available (arrangements need to be made ahead of time). You're always finding these great spots with amazing views! 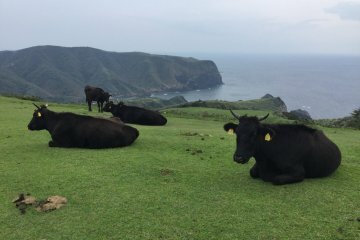 The Oki Islands (Shimane Prefecture) is full of them. 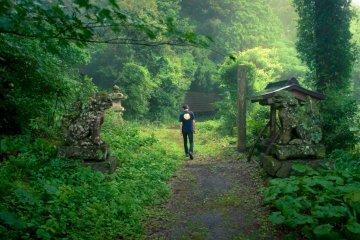 A must-visit!